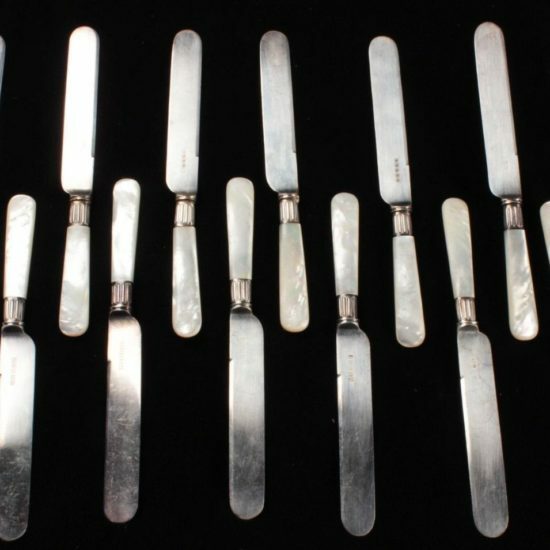 Today we are delighted to be offering for sale a gorgeous antique Manchester “Manchester 1932″ set of 2 sterling silver dessert/teaspoons with NO MONOGRAMS! The Manchester Silver Co. was founded by William H. Manchester as W.H. Manchester & Co in the year 1887 in Providence, RI. The company subsequently acquired the dies of Richard Dimes Co. around the 1950s. 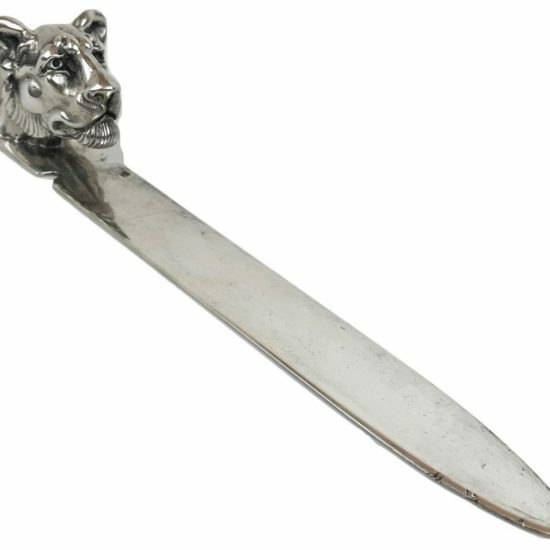 They manufactured both sterling silver flatware and hollowware. Manchester Silver Co. lasted until 1985, where their dies were sold to Boardman. This exquisite pattern, named Manchester after its’ company, was introduced in 1932. The pattern is noted for its’ elegant and streamline Art Deco decoration. 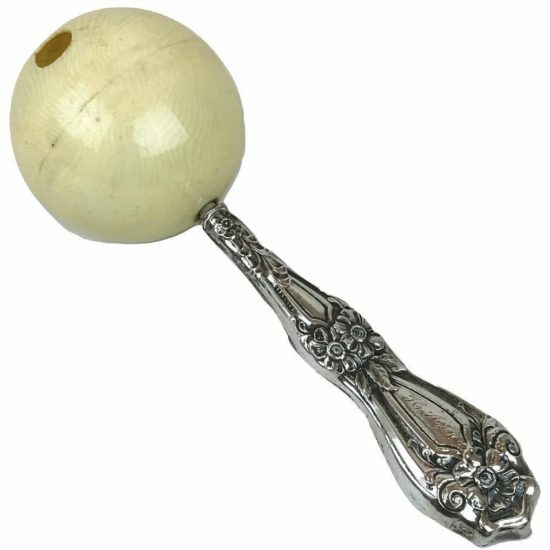 This beautiful set of two 5-3/4” teaspoons is crafted of fine 925 sterling silver. 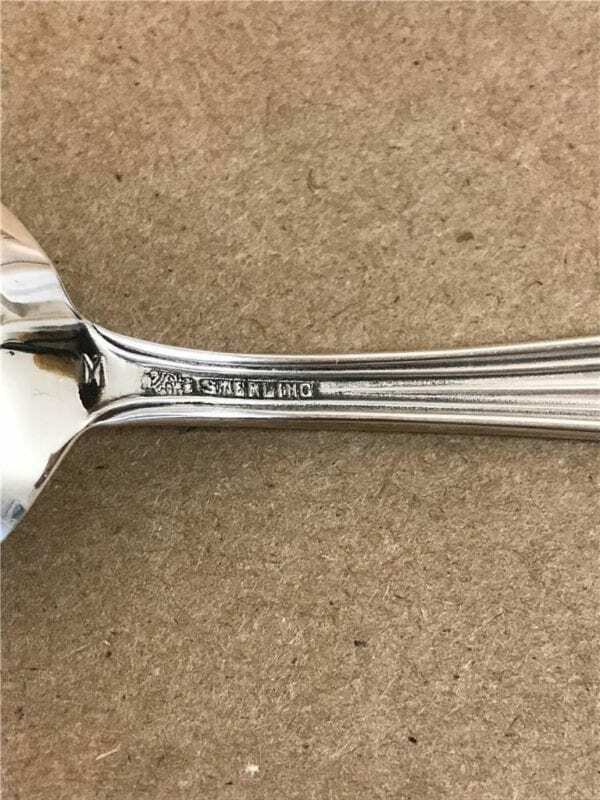 The pieces are all hallmarked on the back with the Manchester hallmark and “Sterling”. The total weight of the set is 61 grams. Set presents beautifully and is in very good antique condition, with very minor wear/scuffing/pitting and tarnishing from being used only a handful of times through the years. No Monogram. 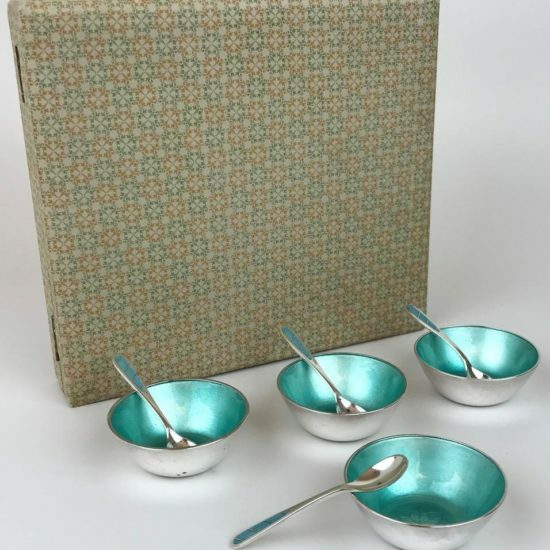 This elegant and refined American-made set is a masterpiece of old New England craftsmanship! Add style to your dining or luncheon table with this elegant service. Fresh to the market!